Kendra Beebe says she doesn't feel safe after her former boyfriend, Shelley Malil, was released after serving twelve years of a life sentence for attempted murder. survivor's story. Reporter: Kendra Beebe ion a mission, outraged after the man O stabbed her 23 times was F after serving justhe minimum se W chapter I nre saga that began Kendra in 2007 when she metlley mail and thou he W just funny GU We started distance dating. I was in San Diego, and he W in L he seem really fun. "Ss" and theitedy 0-year-oldvirgin," sheey made a name for himself as a sen of humor ou are a vunkind man. Go inside! This is not professional. Reporter: Months into relationship Kendra would soon find that E mr.unny guy exterior shielded a muchkede. There had been an argunt. Quit communicating with and that's what led up to him shg up at my doep. Reporter: How did things his back.d felt Ver scared. Repor the bells, kdra wen to give Shelley a hug touse the ion. He pleut his HD a just started stabbinone, tw tee and Reporter: Did you know what happening? No I feltikeoh, god, this did not just happen. I felt in shock and pain and actual,n't know but at the time he had pun O my lungs. Repor Shelley csed kendrahroughout the house, stabbier 23 times. He was very me he wasn't screaming. He wn't he W LE cold ulated. E was TRE to get a J ne. Reporter: H was it that shelstoppedtayo Because my neighbor into and really he got tired. Repor Shelley managed slip away during the chaos but ested the the case went to trial, kendraid everything in her power to M surempted murderer would stay behind bars testifying and relivinghe horrifying ordeal in court.ndefore the defendant myy 2 times in an attempt to M me. Reporter: Is this a revictimization? Absutely hav feltvi by th L system. You relive it. You H -- you wake up in the middle of thnight, and it's happening right here now. Oesn't Mr how mh time has passed. Reporhought the T was or WHE was sentenced to 12 years toif in prison for attempted murder. From day he will not along youngnly to Beed the night whenhe parole boardnnounced last month tt Shelley would be the mience. Feel very coned. El scar. I will always have wy back F the rest O M Reporter: Theernor of California requested that the Paro buate their decision because he believed thatey rains unsu for role. Well, said that they felt he had aow risk of reoffending. I guess they have a cryst ball on't have. And I've beenoinghior years. I can tell you, the systems nochug to protect the rights O victim Reporter: The calnia apartment of cotions sent use hearing, telling "Nightlin it shows that T panel felt they did accurately and well ere and ar the reasons for ING suitabity for parole and unanimously granted Shelley parole. He was released yesterday. I think W need do even more. Need a criminal system THA rnizes theeeds of victimsven more THA es now. Reporr: According to a survey done by the C, in fo wave faced domestic intime part and far T often are to speak out. The M dangerous time a woman a violentelationshi to separate from theabuser. Becausat'she the control intensifies, include ultimately as horrific incident as the onealking a here. Reporter: Despite herfears, Kendra hoplp gi V domestic violence victim create a system that will Bette listen and otect women. What do you see when you look I the mirror?ry D I a reminded when I look at M chin itoe to be a bad thing. This is just my body. I'm a lot more.my spirits Rong. I goton C who many women don't. And sol very stronglyhat I need help be a par change. 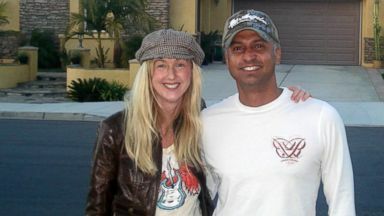 Kendra Beebe says she doesn't feel safe after her former boyfriend, actor Shelley Malil, was released after serving eight years of a life sentence for attempted murder.